A wind advisory has been issued for San Diego County mountain and desert areas, warning motorists about possible treacherous conditions. The National Weather Service‘s advisory was issued Friday evening and remains in effect through 5 a.m. Sunday. West winds of 20 to 30 mph — with gusts to 50 mph — are forecast. 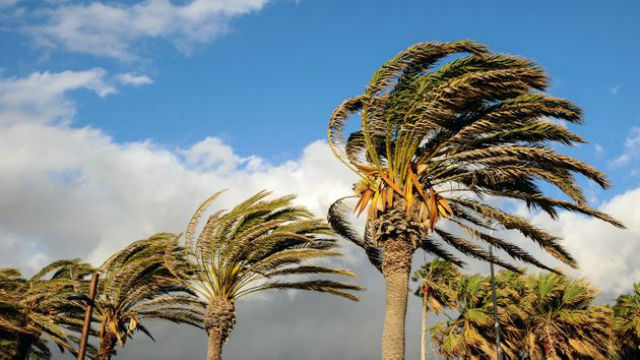 The strongest winds are expected along desert mountain slopes into adjacent desert areas. “These strong winds will make driving difficult for high profile vehicles. Also, watch for broken tree limbs. In the deserts, blowing dust and sand could reduce visibilities,” the NWS reported. Affected regions include: the San Bernardino County Mountains, Riverside County Mountains, San Diego County Mountains, Apple and Lucerne Valleys, Coachella Valley, San Diego County Deserts, and San Gorgonio Pass Near Banning. These areas include the cities and county areas of Julian, Indio, Palm Springs, Cathedral City, Palm Desert, Palm Desert Country, La Quinta, Coachella, Borrego Springs, and Desert Hot Springs, the NWS reported.